I captured this image on my first trip to the Grand Canyon and never shared it for some reason. 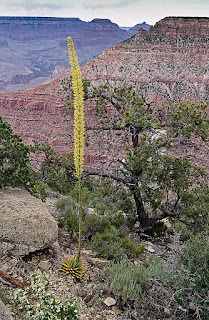 I saw this plant in bloom while I was there last year but this was a particularly good example. 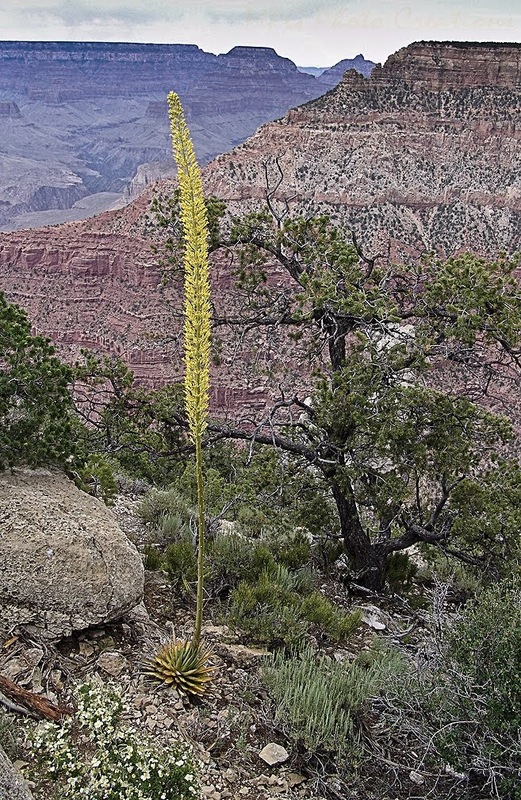 This is a Century Plant which lives for about 100 years and then shoots up this spectacular huge bloom and then dies. It's beautiful while blooming.